The Muscular Dystrophy Association (MDA) is the world leader when it comes to muscle diseases. Established in 1950, MDA is dedicated to finding treatments or cures for more than 40 neuromuscular diseases. 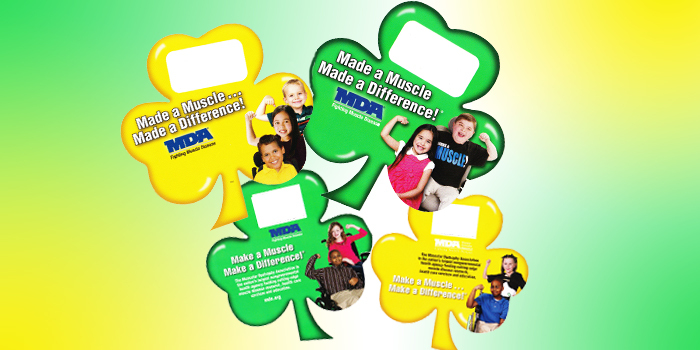 In March, ACME customers in Pennsylvania, New Jersey, Delaware and Maryland had the opportunity to participate in the MDA Shamrocks campaign. All money raised through the campaign will be used to help send children with muscular dystrophy and other muscle diseases to Summer Camp that will be hosted at Variety Camp in Worcester, PA. The MDA Summer Camp is important for many different reasons. Some children are so dependent on their parents and siblings that they rely on them just to be turned over in the middle of the night. Never asking for a break or complaining about their lives, the families of these amazing children are given the opportunity of a brief respite as they allow themselves to place their child’s care in the hands of people they can trust. This leads to what is arguably the most important reason for the camp; the children themselves. There are programs and groups that come together and share experiences, allowing their children to co-mingle and make friends during their normal days; however, Summer Camp takes things just a little bit further. Giving children an opportunity to spend days at a time, surrounded by children who are just like they are. They play games, attend a dance and enjoy a time when they aren’t different……..yet they are different, in so many special ways.